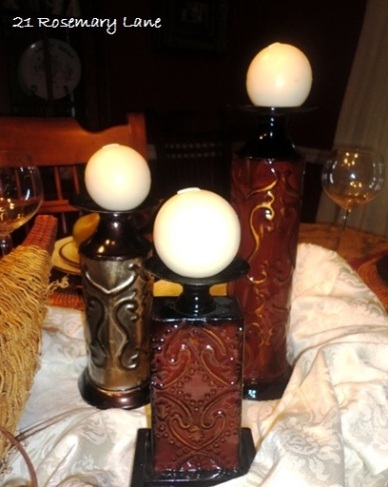 Fall is on its way and it is time to start thinking about fall gatherings. 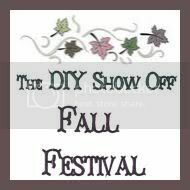 Our home gets very busy during the months of October and November with all the holiday and birthday celebrations. The walls in my dining room are painted a Hunting Coat red, so it lends itself very well to both autumn and Christmas decorating schemes. Here I pulled the red off the wall onto the table and added gold and hints of green. 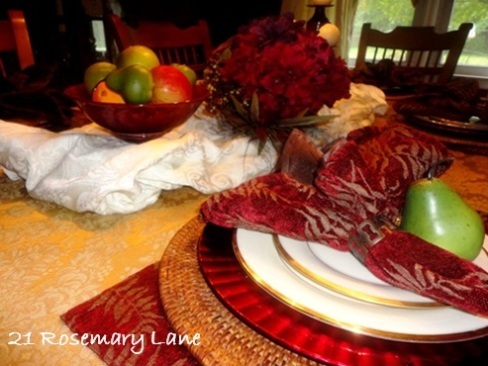 To break up the solid color of the table cloth and to create interest, a smaller ivory table cloth was strategically bunched up and placed in the middle of the table. 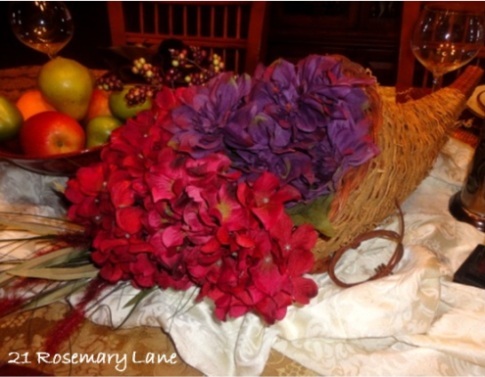 On top is a cornucopia filled with fall hydrangea and berries. 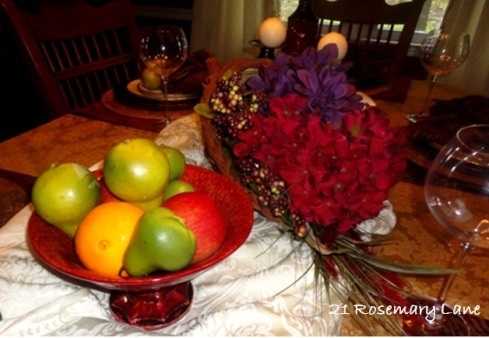 Also included in the center of the tablescape is a trio of candlesticks and a bowl of colorful fruit. 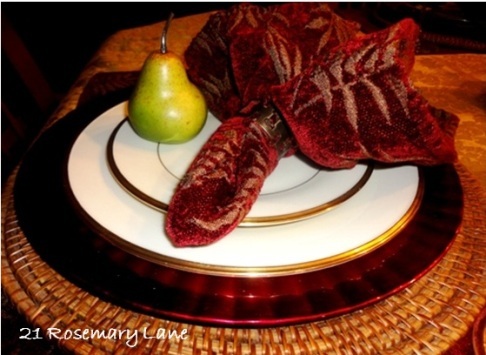 The place settings are layered on 2 placemats, one rectangular and a wicker mat to add texture, and then I added a red shiny charger plate to add a little sparkle. 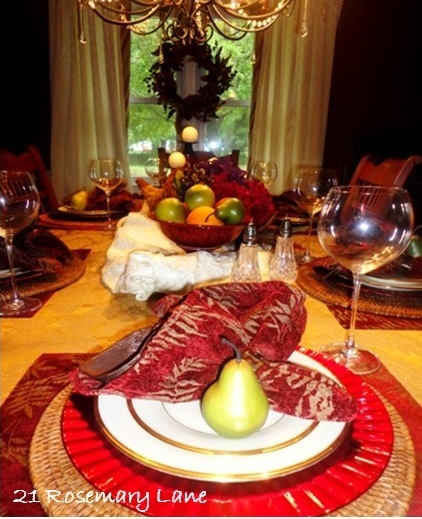 A pear from the bowl has been placed on each plate to add a touch of sophistication to this harvest tablescape.